Trafalgar Park has changed a lot from the days where its sole occupants were sheep. The sheep were removed for the first time on February 28, 1898, in enough time to prepare for the first athletics meet on March 17th. It was the start of Nelson's history of athletics at Trafalgar Park. When the land wars broke out in Taranaki in the 1860's, Nelson was a place of safety for many refugees. Money was left over from a loan set up to help refugees and, in 1891, this money was used to buy Trafalgar Park. The first form of an official club was The Nelson Amateur Athletics and Cycling Club, which was formed in June 1895 and functioned for three years before it went into recess. In 1926 it reformed and continued until 1928 then went into recess again. With help from the Motueka Athletics Club they reformed in 1935. Later the Nelson Amateur Harrier Club was formed and acted as a branch of The Nelson Amateur Athletic and Cycling Club. It is believed that the club did not function from 1940-1944 because of World War II and seven club members lost their lives. In 1964 the Trafalgar Harrier Club was formed. 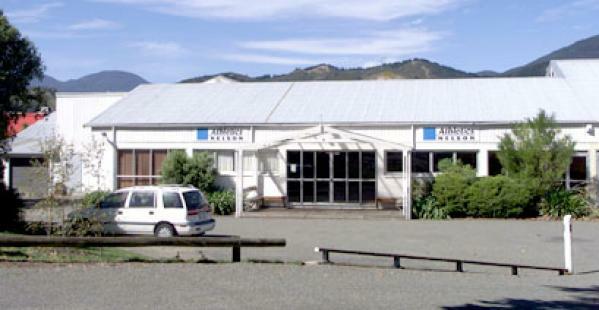 They built the Athletics Nelson clubrooms at Pioneer Park. In the early 1990's the Cycling and Athletic part of the club split into separate clubs, and in 1998 Nelson City Harriers and the Nelson Athletic Club combined to form the present club, Athletics Nelson. Trafalgar Park has been home to world class athletes who all look back to the small Nelson grass track, as where it all started. Before the days of sports like soccer, rugby, multisport and cycling, track and field ruled supreme. The track meets put on at Trafalgar Park brought crowds in the thousands to pile and squeeze into whatever space was free and cheer on the athletes. In the 1900's Trafalgar Park played host to some of the biggest meets in the country. On January the 5th 1963 Murray Halberg, winner of the 5000m at the 1960 Rome Olympics, came to Nelson to run a leg of a 4-mile relay. His team mates included three time Olympic champion Peter Snell and Olympic bronze medallist John Davies. They were racing the University of Oregon's world record team. 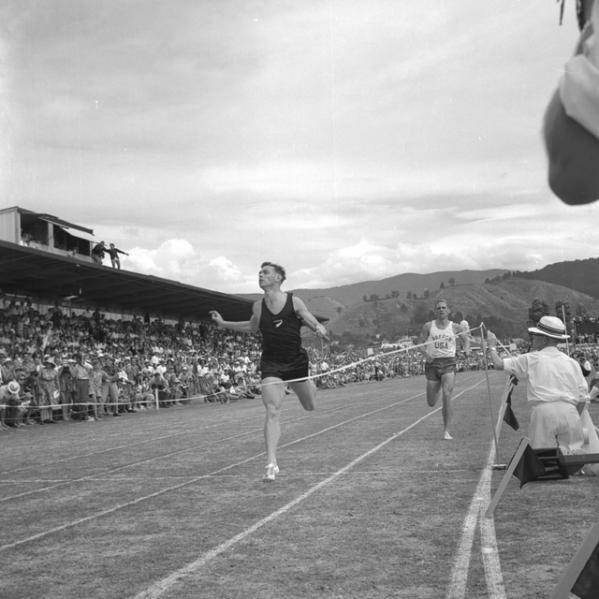 The two teams were head to head all the way to the home straight, where Peter Snell overtook the final Oregon runner to bring the New Zealand team to victory. A deafening crowd of 12,000 packed the new grandstand and squeezed several rows deep all around the track. The crowd included 14 year old Rod Dixon who remembers the event clearly. Trafalgar Park has not only produced amazing athletes, but also officials who have stayed to give back to the sport. One man turns up every club night and to help with timing. His name is Harold Nelson. Harold is 85 and is a 1948 Olympian and 1950 Empire Games six-mile champion. He started teaching at Nelson College in 1951 and has helped the development of, and coaching at, the club. 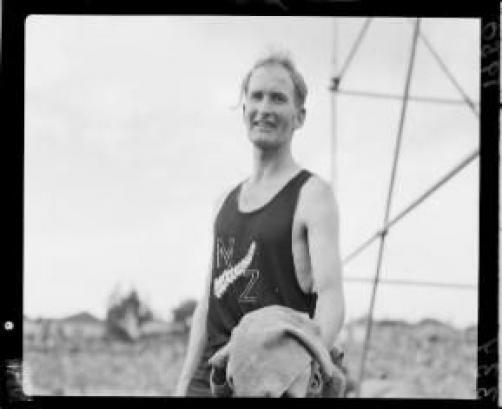 He acted as flag bearer for the New Zealand team at the 1948 London Olympics and had the second fastest qualifying time going into the 6-mile event. He didn't get to finish the race due to heat exhaustion, but he still claims it as his best achievement. "The highlight of my career was just in qualifying for the Olympics. The Empire Games victory was a bonus to me"4 he says. Nelson Athletics currently has an impressive line out of young athletes. This is due to the coaches and the experience Athletics Nelson has gained. Greg Lautenslager moved with his family to Nelson from America in 2002. Since then he has been coaching a youth distance squad who have been impressively successful. Over his time in coaching, Greg's athletes have won 138 national medals, including 67 gold medals, team titles and national records. He is the head coach of Athletics Nelson and organises all the meets while looking after the senior team, Tasman Tigers. Sprint and throws coach Tony Aikenhead has trained athletes to win eight national medals in the last season. Barry Hunt has been one of the biggest helpers in the development of Athletics Nelson. In 1990 he put in hours of hard work and received $700,000 in pledges for an all weather track to be constructed at Trafalgar Park. This was denied at the time, then in the early 2000's the idea was reborn and Barry Hunt handed the project over to others. Not only does he work hard for the club he is a former President of Athletics New Zealand and long-time sprint coach, his athletes winning a total of 135 national medals. Athletics in Nelson has been at Trafalgar Park ever since it began. Its move to the new all weather track at Saxton Field will be the biggest change the club has ever undergone. The javelins and discuses will be thrown no more, the white lanes will fade and there will be no more crowds of 12,000 gathering to watch athletics like there used to be. The memories of Trafalgar Park and its athletes will be left behind but never forgotten by Athletics Nelson. In 2008 a $3.8million upgrade of Trafalgar Park to an outdoor events centre was approved. Because athletics will be moving out of Trafalgar Park the upgrade will favour rugby. The turf and drainage will be improved as will the pavilion. The cycle track will remain and, depending on the continuation of the Tasman Mako's and the Rugby World Cup bid, the council have agreed to spend another $2.55million. The estimated cost for the whole upgrade of Trafalgar Park has now been quoted at $7million. The old east grandstand built in the 1950's will be removed and replaced by 6000 temporary seats. This upgrade will allow large-scale events to be held there. The Park has been used by athletes for over a hundred years, but now to keep up with the changing times athletics must be transferred to Saxton's Field where there is a new all weather Olympic standard track. Lautenslager, G. (2009, March 14) Glory days on the grass track. The Nelson Mail. Want to find out more about the Athletics at Trafalgar Park ? View Further Sources here. Did Peter Snell run at Trafalgar Park just the once in the relay event or were there other occasions? Ed. I think it was once - do others know?